Point Bay Fuel offers full service HVAC sales, installations, repairs and maintenance for homes and businesses in Island Heights, NJ. Make sure that you minimize any outages with your heating and central AC by arranging yearly tune-up services for your HVAC equipment. If you are experiencing an emergency heat or air conditioning disruption, our technicians are available 24/7. Call us Now! 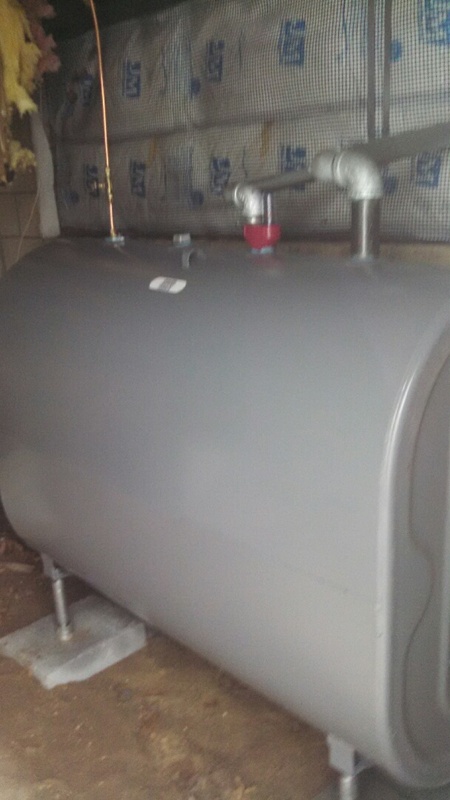 New ABOVE GROUND oil tank installed. There is a lot to be responsible for when you own a home. An aspect of that responsibility incorporates the air conditioner and heating system. The comfort of a house is directly related to the cooling and heating system. A residential property is not capable of running in the absence of a good heater or cooling system. When you own a car, it needs maintenance like an oil change every 3,000 miles. When you own a house, your heater and air conditioner need a tune-up on an annual basis. Yet, all devices malfunction periodically no matter how much maintenance they receive. A homeowner can steer clear of costly repair works on their HVAC system by having an idea of when their system requires the services of a qualified professional. In this short article, we will cover what a homeowner can search for so that they recognize when to get in touch with an HVAC expert for a repair service. Realizing when to request a heater repair service can save a homeowner a great deal of time and money from needing to cope with a system failure. Your heater may need fixed if you have disregarded it for the last year. Furnaces need servicing and when they do not get it, they commonly will need a repair shortly. Circumstances that can be considered out of the ordinary call for repair services. Situations such as water pooling close to the furnace or bizarre noises would entitle a repair. On the occasion that you sense a gas leak, it is very important that you keep you and your loved ones safe. Shut down the gas supply to your home. Then be sure that you leave the home. After everyone is safe and sound out of the house, then call in the professionals. Your air conditioner gives pretty clear hints when it is beginning to malfunction. You just have to know them. When there is very little to no air coming out of the vents, then you really should contact an HVAC expert for a repair service. When your thermostat seems to be malfunctioning, then it is time to call for a repair service. You may also detect that there is dampness nearby your unit where there shouldn't be any. Even though it may resemble water, it could also be a refrigerant leak. This type of circumstance needs to treated when you notice it. Refrigerant is hazardous. Weird sounds or odors are also signs that the chance has taken place to contact your HVAC specialist. It is not unheard of for individuals to neglect these symptoms. They really hope that it means nothing or they worry that the repair service bill will be expensive. Yet, the quicker that a troubling system is remedied, the less costly that the repair work will be. Always select an HVAC professional who is known for providing fast, clean, and competent services. Long before the installation process takes place, make certain to ask questions. This will offer you a notion of what to expect when the installation day arrives. The licensed contractor will supply you with a written contract that details labor costs and project details. You should obtain this contract even before your air conditioning system or heating system is installed. This incorporates project time frames, what tasks will be done, and how long it will need to take take. Don't forget to confirm that the HVAC system that is being set up is the ideal one for you. You can determine if a contractor is respectable considering that a good contractor will have the ability to recommend various models that maximize the energy efficiency of your home. This will need to be done before you decide which AC system you might think works for you. It is really worth listening to their suggestions. Following the installation, he will cover general maintenance and performing ideas for your brand new air conditioner or heating system. It is standard understanding that the service industry has lots of scam artists. The HVAC niche is no different. A homeowner should really have a fundamental idea of when it is an excellent technique to get a second opinion as a method to protect against being scammed by an HVAC contractor. Any kind of estimate that can be regarded as costly must have another opinion. You wouldn't want to replace your system even it needs only a simple repair. This is why you want to get an additional viewpoint when a contractor suggests a furnace replacement or an air conditioner replacement. There are other situations that suggest the demand for a second assessment from a professional. Nobody likes the car salesman's pushiness. Similar to that, is an HVAC licensed contractor who appears aggressive about a replacement. This is ordinarily an HVAC contractor who is attempting to acquire a commission from selling you their products or services. They are not taking into consideration what accommodates you best. If you have an overall idea of what is occurring with your system and the service provider proposes a service for something that has nothing to do with it, then get an additional opinion. Lastly, get a different quote when the estimate seems to be a little high or financially demanding. You want comfort realizing that you are not paying more than you should really have to for an installation on your heating system or cooling system. Since the heating system along with the air conditioning system is an essential aspect of a home, property owners need to have an awareness on effective ways to maintain them. This will assist them to pay much less for their cooling and home heating costs. Another benefit of HVAC services is that repair fees will go down. Just having an idea when your device needs repair can make a big distinction. A resident should also have an idea when they need to acquire a different opinion from a professional. House owners should follow these recommendations so that they can try to keep their equipment in its absolute best shape. A healthy heater or air conditioning unit means a comfortable property.